Smoothies are one of the quickest and yummiest ways to get a good meal in after a workout, or whenever slowing down for a meal isn't an option. However, you don't always have to opt for berries as the base of your shake! 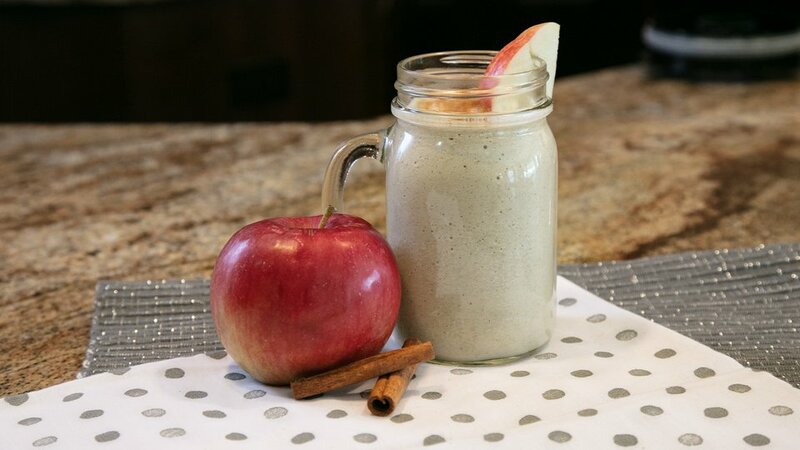 This recipe includes apples, vanilla protein powder, and cinnamon for a fresh spin in your blender. It may even kill off your apple pie cravings! Enjoy as a post-workout shake, mid-day snack, or as a bedtime meal when the cravings start to kick in. Pour almond milk into the blender first, followed by the remaining ingredients. Blend for 30-60 seconds until thoroughly combined. Serve right away with an apple slice for garnish!